March 22, 2017 3:03 pm. THE BMW is one of the feature staying races of the Sydney Autumn carnival and it runs for a stake of $1.5 million. The 2400m feature is held at Rosehill in late March and the weight-for-age contest has been won by some of Australia’s best stayers. It is a true staying race and that shows in the past winners list. Names such as Eremein, Makybe Diva, Ethereal and Might And Power have won The BMW in recent times, but the history goes back to when Bonecrusher won in 1086 and Kingston Town won in 1980. 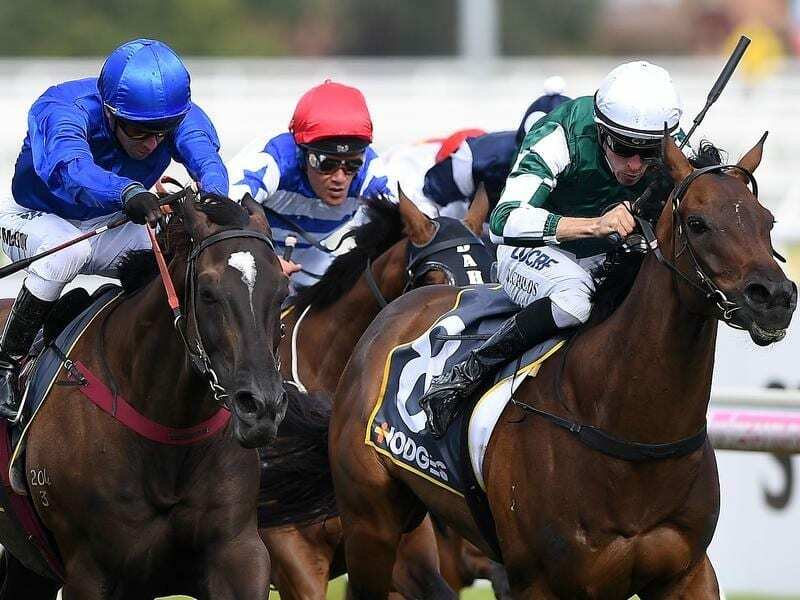 That makes it one of the must-win races for budding stayers and we have race history, updated odds and recent runnings of the great race available for punters looking to secure some value. The BMW has been synonymous with mixing favourites and long-shot winners over its long history, so finding that early value is key for punters and signing up to one of bookmakers is the best way to find it. The last running of The BMW was on March 25 and was won by the Ciaron Maher-trained Jameka. After a dominant win in the Group 1 Ranvet Stakes Avilius is the clear horse to beat. Online bookmaker Ladbrokes as the Godolphin runner as the $1.60 favourite. The hattrick seeking Red Cardinal ($6) is the only other runner in single figures. The BMW is one of the key Sydney meetings leading into the Sydney autumn. All the bookmakers below offer early markets on the BMW. Read our comprehensive reviews below. 2019: Avilius has long been the heir apparent to the throne Winx is about to vacate as Australia’s best racehorse and the champ did himself no disservice with a dominant Tancred win. The Godolphin runner settled towards the back of the field before being unleashed just before the turn. Avilius hit the front untouched at the 300m mark and streaked away to win in fashion. 2018: The 2016 Melbourne Cup winner Almandin had only won once in six attempts since claiming the race that stops a nation but the Lloyd Williams-owned runner wound back the clock in this one. The favourite raced just off the pace and presented at the optimal time to record his second Group 1 title. 2017: Pre-race favourite Jameka ($3.10) put a six and a half length margin between her and Australian Cup conquerer Humidor ($3.70), with Expspheric ($8) further back in third. Champion jockey Hugh Bowman was in the saddle for popular Victorian trainer Ciaron Maher. With Lasquety Spirit making the pace, Bowman expertly guided Jameka to a winning position at the turn, before bounding away for an easy victory in the popular feature. Read full report. 2016: Preferment was at the height of its powers in 2016 and the Chris Waller-trained horse proved too strong. The four-year-old lived up to its breeding by Zabeel by scoring a narrow victory. It settled midfield for jockey Hugh Bowman before taking off before the turn and holding off Who Shot Thebarman. Punters backed it into $4.50 – the same line as Montaigne which would later be sold to Hong Kong. Read a full report. 2015: Hartnell arrived on the scene in 2015 by dominating a talented BMW field. The John O’Shea-trained import was in good form prior to The BMW, but it signalled its true ability to scoring a 1.3-length win over Japan’s To The World, which was the race favourite at $2.62. Hartnell paid $3 in scoring the win with James McDonald in the saddle and the beaten brigade included Melbourne Cup winner Protectionist and the always-classy Who Shot Thebarman. 2014: It was an all-international trifecta in 2014 as New Zealand’s Silent Achiever scored the impressive win over It’s A Dundeel. The Roger James-trained mare produced a career-best performance when scoring by 1.8 lengths over It’s A Dundeel which was class personified. All three horses in the top three positions paid under $5 with Melbourne Cup winner Fiorente paying $3.50 to win. The cream rose to the top in the 2014 BMW which made it won of the greatest recent editions. 2013: Fiveandahalfstar was heavily-supported in the market at $4.50 and it scored the narrow win over 2014 winner Silent Achiever. The Anthony Cummings-trained gelding was a rare three-year-old winner which took advantage of carrying only 54.5kg. The win gave Hugh Bowman another success in the race and it also showed that a cheap sales purchase can win the riches. Fiveandahalfstar was only a $20,000 purchase which made it a great racing story. 2012: Manighar was a true stayer and it showed its real potential when winning in 2012. The Peter Moody-trained gelding dashed quickly at the top of the straight and quickly put lengths on the field as a $4 chance with bookmakers. It was able to hold off the classy Americain which chased hard and outside Drunken Sailor fought well for third. The win was another high-profile success for Moody and jockey Luke Nolen, which paired up with Black Caviar.